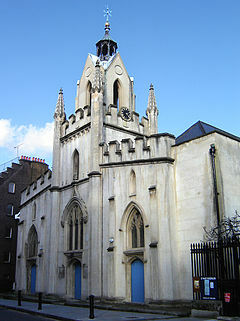 The first 'Bermondsey' is that known as the location of an Anglo-Saxon monastery, and known from later charters to be the area around the post-Conquest Bermondsey Abbey and its manor, which was in turn part of the medieval parish. References in the Parliamentary Rolls describe it as "in Southwark". [] A later, Victorian civil parish of Bermondsey did not include Rotherhithe or St Olave's; this was the arrangement under the Metropolis Management Act of 1855. The Southwark parishes of St Olave's and St John's Horsleydown (the latter a 'daughter' of the former) with St Thomas's formed a parish union ('District Board of Works') known as 'St Olave's' from that date. This was the arrangement within the London County from 1889. In 1899 St Olave and St Thomas's District was created as a single civil parish and the next year, following London government reorganisation, this was merged with Rotherhithe and part of Deptford to form, with Bermondsey civil parish, the Metropolitan Borough of Bermondsey. The Borough's first Mayor was Samuel Bourne Bevington (1832–1907), leather producer and one of the area's largest employers; his statue still stands in Tooley Street. 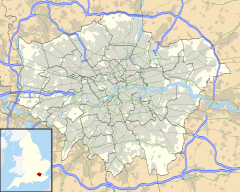 This Borough disappeared into the London Borough of Southwark, in the Greater London reorganisation of 1964. Southwark London Borough Council has divided the borough into a number of community council areas. The wards of London Bridge and West bermondsey, North Bermondsey and South Bermondsey form the Bermondsey Community Council area. In 1983, the area played host to the famous Bermondsey by-election in which Labour's Peter Tatchell lost the previously safe Labour seat to the Liberal Simon Hughes on a swing of 44%. Hughes represented the area until 2015 when he was defeated by the Labour candidate Neil Coyle. At the 1983 general election that took place several months after the by-election, a new Southwark and Bermondsey constituency was created, becoming North Southwark and Bermondsey in 1997, and in 2010 Bermondsey and Old Southwark (although a small part of south east Bermondsey is transferred to Camberwell and Peckham in the 2010 changes). There are several railway stations in and around Bermondsey. Bermondsey is in London Zone 2, but nearby London Bridge and Borough stations are in travelcard Zone 1. Oyster Cards can be used for travel from stations in Bermondsey to other stations in the London region. The Jubilee line passes through Bermondsey, calling at Bermondsey and Canada Water stations. London Bridge station on the Jubilee and Northern lines, and Borough on the Northern line are also nearby. The Jubilee line provides a direct link from Bermondsey to Canary Wharf and Stratford in London's East End, and to Waterloo, the West End, Baker Street and north west London towards Willesden and Stanmore. The Northern line from London Bridge links the area to Kennington, Clapham and Morden in the south. Northbound services travel through the City of London, King's Cross St Pancras and Camden Town, towards Edgware or High Barnet. The East London Line, South London Line and South Eastern Main Line all pass through Bermondsey, providing frequent rail connections to Central London and South East England. London Bridge is the busiest station in the locale, and fourth busiest station in the UK, with 48.5 million passenger entries and exits in 2017-18. Services from London Bridge are provided by Southeastern, Thameslink and Southern. London Bridge connects Bermondsey directly to destinations in Central London, including Waterloo, Charing Cross, Cannon Street, Farringdon and St Pancras International. Beyond London, trains travel direct to Gatwick and Luton airports, and destinations including Bedford, Brighton, Cambridge, Dover, Peterborough and Sevenoaks. South Bermondsey is served by Southern trains from London Bridge to South London, with direct connections to Beckenham Junction, Crystal Palace and Croydon. Rotherhithe, Canada Water and Surrey Quays are all served by London Overground trains. These stations link Bermondsey with Shoreditch, Dalston and Highbury & Islington to the north. To the south, Bermondsey is linked directly to New Cross, Penge, West Croydon, Crystal Palace, Denmark Hill and Clapham Junction. Peckham Rye station, just south of Bermondsey, is also an interchange served by Southeastern, Thameslink and Southern, with direct trains to London Victoria station. the A2208 (Rotherhithe New Road). Bricklayer's Arms is a busy road junction between the London Inner Ring Road (A100/A202) and the A2, where routes from London Bridge meet with routes towards the East End, Surrey and Kent. The southern portal of the Rotherhithe Tunnel (A101) is in Bermondsey. The Tunnel was completed in 1908 and carries vehicle traffic from Bermondsey directly to the East End. In 2003, the Tunnel was rated the tenth most dangerous tunnel in Europe, owing in parts to its age and lack of safety features. The London Borough of Southwark maintains most roads, particularly residential streets, but Transport for London (TfL) manages certain routes: the A100; the A101 (Rotherhithe Tunnel); the A2; the A200; the A202. All the above sites failed to meet national air quality objectives. A monitoring site on Old Kent Road registered an annual mean 22µg/m-3 in 2017 for PM10 (particulates often found in exhaust), which meets national air quality objectives. Bermondsey is well connected to the London and National Cycle networks, with several signed routes passing through the area. With several routes passing through Bermondsey, cycling infrastructure is maintained by both Transport for London (TfL) and Southwark Council. Most routes run through Bermondsey in an east-west direction. NCN 4 runs east-west across Bermondsey. The route is predominantly carried by residential streets or shared-use paths. It is a signed route, running in parallel to the River Thames. National Cycle Route 425 (NCN 425) Camberwell Rotherhithe NCN 425 runs southwest-northeast across Bermondsey. The route is predominantly carried by residential streets or shared-use paths. It is a signed route, running non-stop from Camberwell to Rotherhithe. EV2 follows the course of NCN 4 through Bermondsey, predominantly on residential streets or shared-use paths. It is part of the EuroVelo network of cycle routes, running non-stop in the UK between Holyhead and Harwich. Cycle Superhighway 4 (CS4) - Proposed Tower Bridge Deptford, Greenwich Transport for London (TfL) plan to create a continuous cycle route on two-way segregated cycle track between Tower Bridge and Greenwich, via Jamaica Road and Lower Street. Work begins in 2019. Q1 (South) runs from Waterloo Bridge to Greenwich through Bermondsey, non-stop. The route uses residential streets and quieter roads. Q1 passes to the south of South Bermondsey railway station. Q14 runs non-stop between Blackfriars Bridge and Folkestone Gardens, Deptford on residential streets and quieter roads. The route is signed. Santander Cycles bicycle sharing does not operate near Bermondsey or South Bermondsey stations, but there are docking stations in Borough and at London Bridge. ^ Dance, Caecilia (10 November 2013). "Filth, disease and Dickens: Jacob's Island, a London slum". Dance's Historical Miscellany. Retrieved 4 August 2018. ^ Somerville, Howard. "Jacob's Island". Howard Somerville's MECCANO Site. Retrieved 4 August 2018. ^ Greenland, Maureen; Day, Russ (2016). Bryan Donkin: The Very Civil Engineer, 1768–1855. England: Phillimore Book Publishing. ISBN 978-0-9934680-1-8. ^ a b c "London's Rail & Tube Services" (PDF). Transport for London (TfL). Archived from the original (PDF) on 28 February 2019. 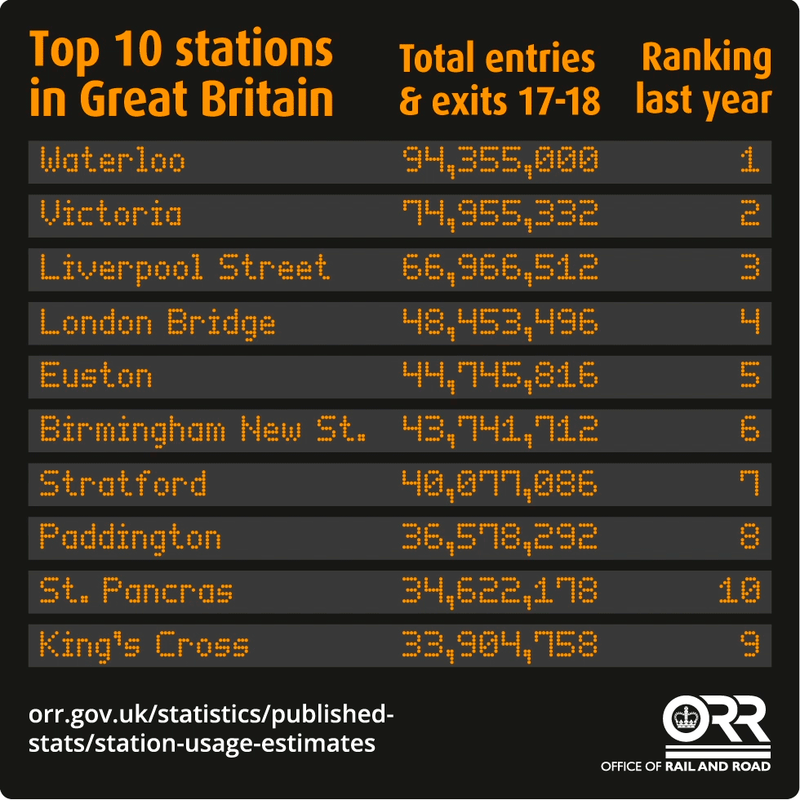 ^ "Top 10 stations in Great Britain". Office of Rail and Road (ORR). Archived from the original on 7 April 2019. ^ "UK's 'dangerous' road tunnels". 24 April 2003. Archived from the original on 14 January 2018. Retrieved 8 April 2019. ^ "TfL Base Map - Master" (PDF). Transport for London (TfL). Archived from the original (PDF) on 19 February 2018. ^ "The main causes of air pollution". Southwark Council. Archived from the original on 8 April 2019. ^ a b "Nitrogen Dioxide Data, 2012-2017". Southwark Council. Archived from the original on 8 April 2019. ^ a b "Air Quality Annual Status Report, 2017" (PDF). Southwark Council. Archived from the original (PDF) on 8 April 2019. ^ "Route 4 - Map". Sustrans. Archived from the original on 30 December 2018. ^ "Route 425 - Map". Sustrans. Archived from the original on 30 December 2018. ^ "EuroVelo 2". www.eurovelo.com. Archived from the original on 8 April 2019. ^ "United Kingdom — Eurovélo 2". www.eurovelo.com. Archived from the original on 8 April 2019. ^ "Cycle Superhighway 4". Transport for London. Archived from the original on 8 April 2019. Retrieved 8 April 2019. ^ "Quietway 1 (South): Waterloo to Greenwich" (PDF). Transport for London (TfL). Archived from the original (PDF) on 22 July 2018. ^ "Quietway 14: Southwark to Deptford" (PDF). Transport for London (TfL). Archived from the original (PDF) on 1 October 2018. ^ "Find a docking station". Transport for London. Retrieved 8 April 2019.